TODAY was the beginning of Lent and if, like me, you've been putting on weight while hibernating over winter, perhaps a suitable time to trim back on indulgence and shape up for spring. Self-restraint is supposedly good for the soul too, whatever your religious convictions. Here in the Fylde, on the Irish Sea coast of Lancashire, the weather is mild enough. However, it is still a chilly and wet chore to wrap up and attend to small jobs in the garden in readiness for sunnier days. Then there's spring cleaning inside to contemplate. How much better to make a brew and read a book! It may also take your mind of those temptations you're trying to forgo before Easter and summer sports or holidays. Our latest novel, A Stone's Throw, is now available on Kindle from Amazon and has been published in paperback by FeedARead.com sponsored by the British Arts Council (see our Books page). 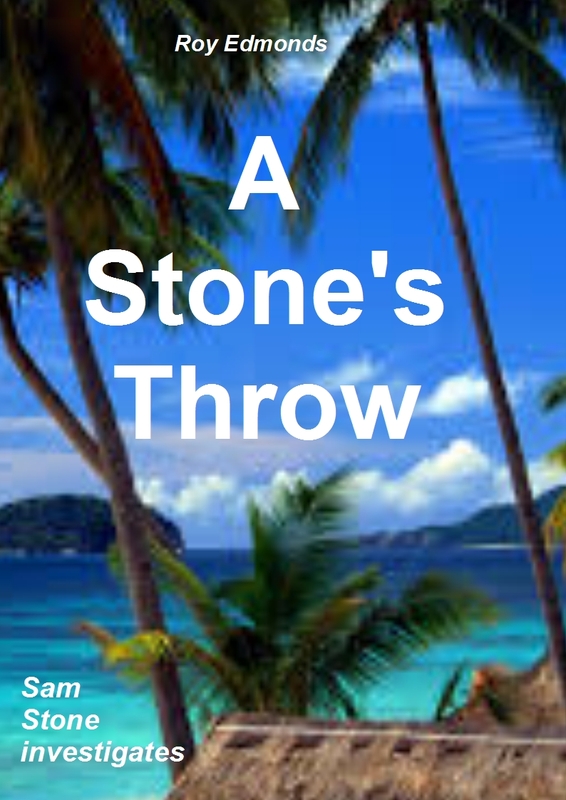 A Stone's Throw is a sequel to A Cut Above, with troubled freelance reporter Sam Stone investigating another mystery - this time where and why the girl he loves has gone missing, on the other side of the world. This is a light thriller and romance with a spiritual flow, set partly in Blackpool and Rural Fylde but also largely in the exotic, romantic but at times dangerous Philippines. It also has a spring come summer atmosphere, opening as it does upon the terraces of Blackpool Cricket Club. See our Story/Chapter page for an extract. Turn to our Books page for links and to read extracts or place orders for this and other publications. Purchases help support this non-profit making, light-literary website started by former journalists tired of all that bad news. You can also read extracts and occasional stand-alone contributions on our other Pages for You (see top of right column). These includes short stories, travel anecdotes and poems as well as longer selections. All pages are regularly updated and, like our books, aim to be uplifting. It is a pleasure to welcome many new readers from the Middle East, as well as those from still further east or others closer to us here in the west. Hopefully, this shared undertaking draws people together. We wish you well and thank you for your interest. Your comments and messages are always welcome.